E! News confirmed the actor will not go trial in a legal battle regarding his former girlfriend's suicide. A wrongful death lawsuit filed against Jim Carrey by the family of Cathriona White has been dismissed. E! News confirmed the actor will not go trial in a legal battle regarding his former girlfriend's suicide. White died from an overdose in 2015, and a lawsuit filed one year later by her mother and estranged husband accused Carrey of illegally obtaining prescription drugs for her. "The case and all claims against Jim Carrey have been dismissed," a publicist for the star told E! News. "He is extremely grateful to everyone in his life who supported him throughout this challenging episode." The attorney representing White's family, Michael J. Avenatti, adds, "Mr. Burton and Ms. Sweetman are pleased the case has been resolved. They appreciate the support they have received worldwide." Carrey filed a countersuit against Brigid Sweetman and Mark Burton for extortion. He also claimed White (with the "assistance" of attorney Filippo Marchino) threatened to "go to the press" with false allegations of the comedian giving her multiple STDs. In September 2017, attorneys representing White's family released a 2013 iPad note allegedly sent from White to Carrey. In it, she allegedly claimed Carrey introduced her to "cocaine, prostitutes, mental abuse and disease," including HSV and HPV. 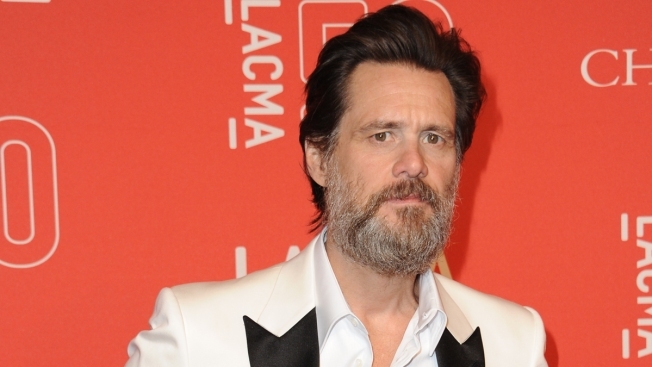 Carrey stated in the countersuit that White "knew the claim was false," but allegedly push forward with them knowing the "mere allegations would impact" the actor's career. At the time, the 56-year-old's statement read in part, "I will not give in a second time to these same fraudulent charges initiated by Cat's husband in name but not substance Mark Burton, and her estranged mother. Nor am I responsible for what these desperate characters have inadvertently unearthed about the woman I adored. I was clearly blinded by my affection. Regardless, I will hold a place of empathy and forgiveness for Cat and continue to focus on many blessing in this life."